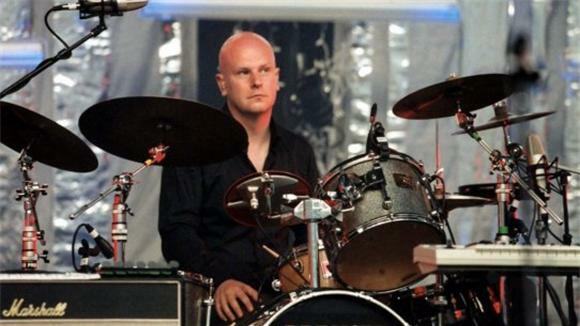 Phil Selway (who goes by the more regal "Philip" here), drummer for Radiohead, is finally releasing his debut solo outing, Familial. The first mp3 from the album, "By Some Miracle", is breathy and generally inoffensive. ...which is actually really surprising coming from a member of one of the biggest boundary-pushing bands of the last twenty years. You hear Thom Yorke and Jonny Greenwood's solo stuff and you're like well yeah, of course they made those. Yorke's obsession with skittering beats and electronics, Greenwood's experimental orchestration -- we saw those coming. But Selway's new music, to use a word I've seen in a lot of Twilight:Eclipse reviews, is positively bloodless.